Beautiful apartment located in the Viauville area of HoMa. Windows on three sides giving a lot on natural light to the living area. Kitchen and bathroom freshly renovated. Unit offering good size rooms, exclusive terrasse and storage locker. Wall mounted air conditioner and all appliances are included. Undivided co-ownership requiring a down payment of 20%. 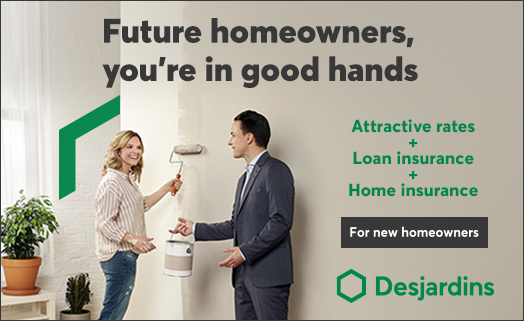 Mortgage financing with Desjardins, please contact Aida Lafrance-Rodrigue at 438-275-6662. The notary will be Me Maxime Major-Lacombre. Kitchen hood, wall mounted air conditioner, bar stools, fixtures, fan, blinds, curtains and rods, hot water tank. My name is MANITHAY MIXAYCHALEUN, RE/MAX real estate broker. How may I help you? Hello, my name is MANITHAY MIXAYCHALEUN, real estate broker. Contact me for more information. Hello, my name is MATHIEU ST-LOUIS, real estate broker. Contact me for more information.